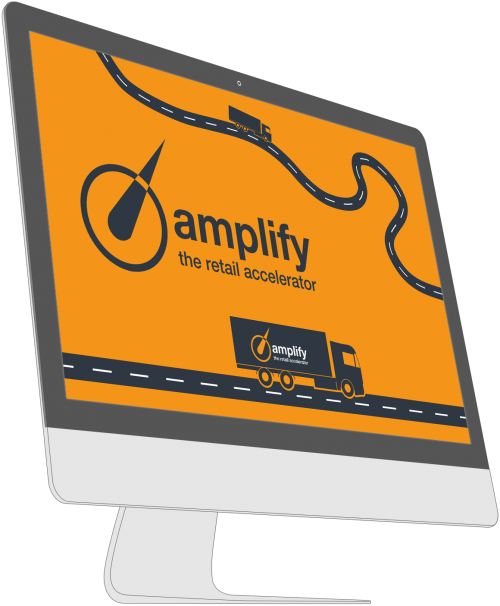 Becoming a supplier for amazon is not an easy task. 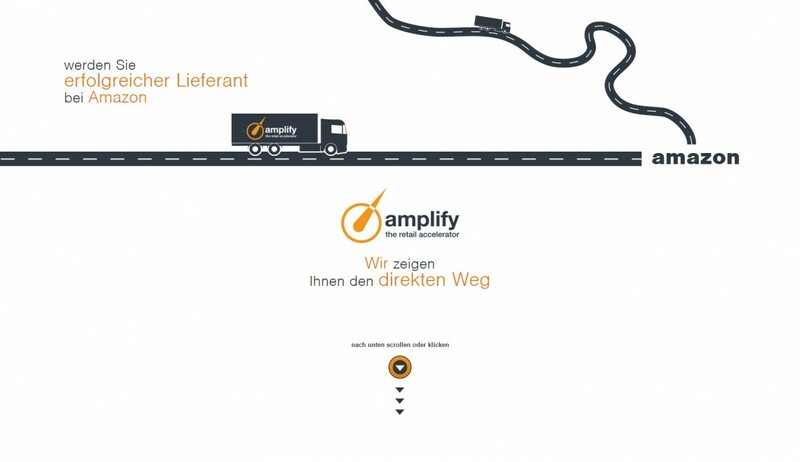 Amplify makes the suppliers life easier by providing a full service package, taking care of the logistics and connecting their inventory with amazon's website. 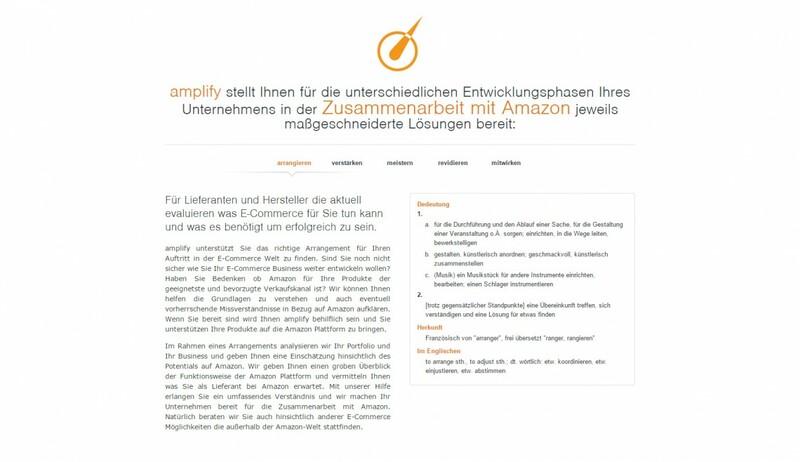 The newly founded company needed a simple website with information about their services, but even more important than this was the development of a web application for the suppliers. 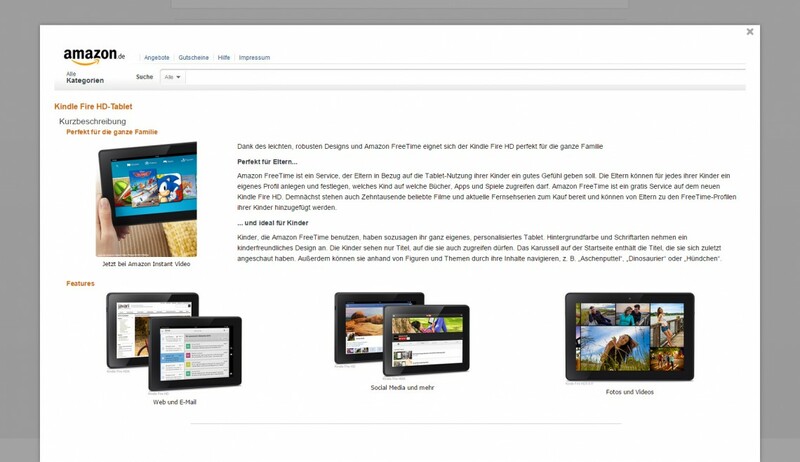 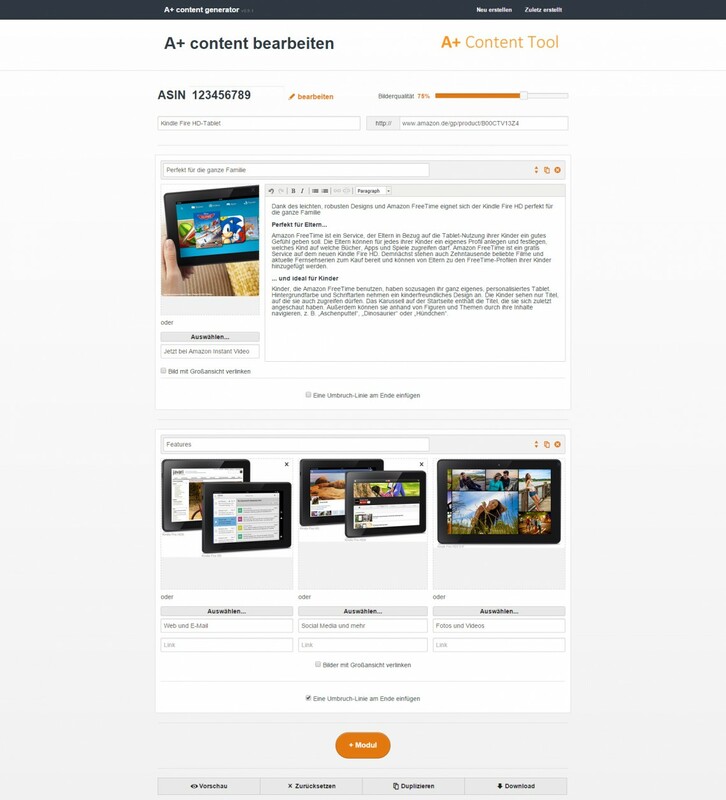 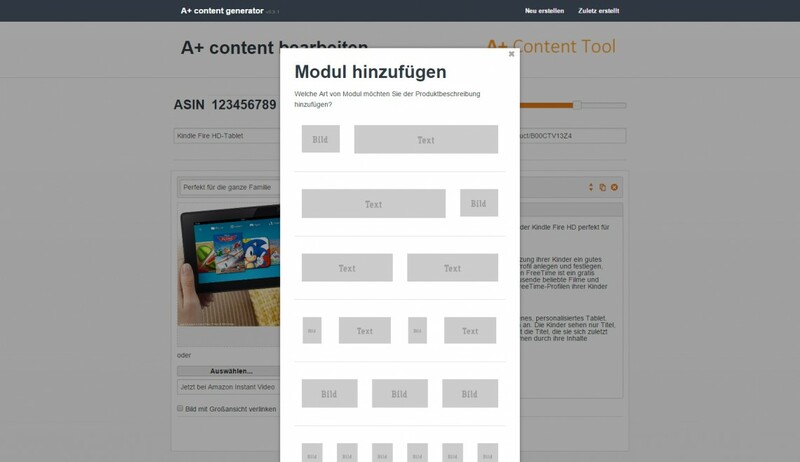 With the web app they are now able to create different layouts for product descriptions, which they can upload afterwards with just one simple click to the amazon page.